Additional features that expand FIREHOUSE Software are available with details below. Contact us for availability and pricing. Violation Code Sets are used to track violations found during occupancy inspections. Different code sets are available based on the code set adopted by your community. 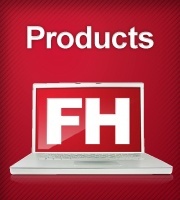 When you purchase a code set, you get the entire code set in a FH-ready format for quick importing into your FH database. Contact your sales representative for a list of available code sets and pricing. The FH Telestaff Interface is a custom data import, populating data from Telestaff scheduling software. The import is commonly used with our automated task processor within FH to automatically keep staff scheduling information up-to-date. Export your EMS patient care billing record information to Sweet Billing with our custom export.